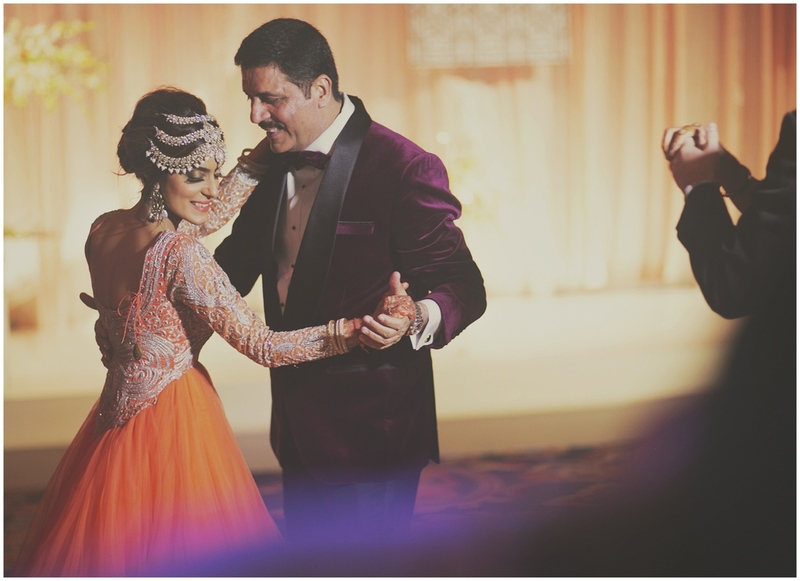 Karishma and Satpreet's wedding was a blast before we wrapped up the 2013 wedding season. The wedding events planned by my favorite - Rimjhim Bhagchandani - and were coordinated to perfection with every little detail thought of and executed. I started discussing the shoot plan with Karishma months before the wedding and we carved out time out in the dunes for a sunset shoot - something that puts all the events and festivities in perspective. The festivities started with a very intimate yet vibrant Mehndi at Karishma's villa - close friends and family mingled and danced into the wee hours. 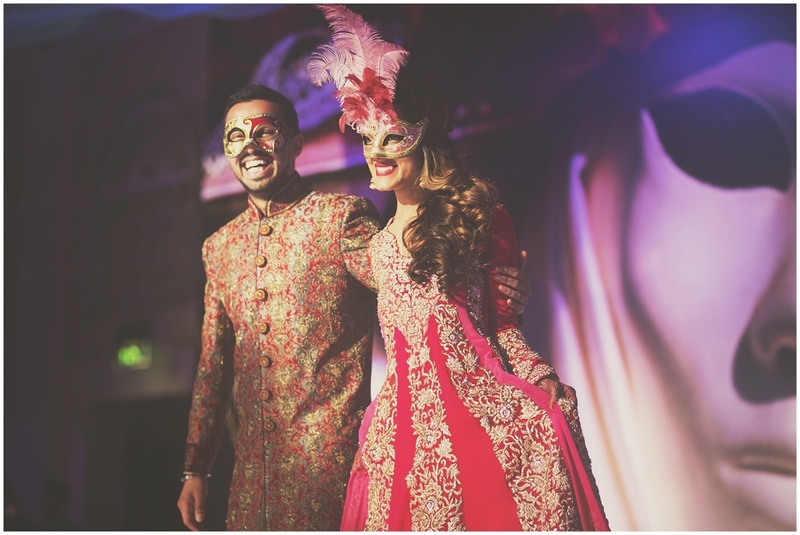 The second event was the masquerade sangeet at the Majlis Al Mina in Mina A'Salam hotel. A huge masquerade backdrop with ethnic decor set the stage for performances by friends and family followed by a dance floor oozing energy and fun. Again, Rimjhim aunty perfected the ambiance. The wedding started off with Satpreet's baraat at the Magnolia Al Qasr with Karishma arriving in a traditional abra from her room to the mandap. Perfect coordination of Karishma's outfit with the decor, which had mix of white and mustard. 1000 balloons were released as Karishma got off the abra. A beautiful twilight wedding ceremony followed Karishma's arrival. The reception was held the day after at the grand Johara ballroom and had a Gatsby theme. Vintage typewriter for guests to type in their wishes to the newly wed, a huge Gatsby backdrop for photobooth, and a stage elegantly displaying Karishma and Satpreet's logo. DJ Sash kept the guests dancing to some groovy numbers and remix songs. 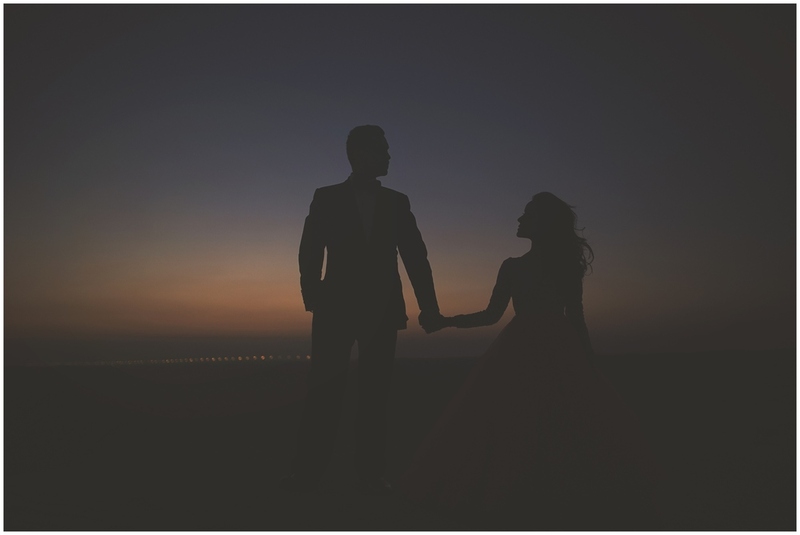 After four days of hectic fun, I am not sure where Karishma and Satpreet found the energy to meet us at the Bab Al Sham's resort for a twilight photoshoot in the dunes. The resort lended a very oasis like feel and it was fun shooting in the narrow alleys and sunlit terraces. I could not wait to shoot Karishma's reception outfit against the neutral colors of the sand dunes. The lighting was perfect, and we clicked away as the sun set in the distant horizon. A huge hug to Aziz, Serge and Gaston for coming out and traveling 1000s of miles to shoot with us. It was always a pleasure to work with them. Cant thank Preeti, Rajesh and Karan for their hospitality. Last but not the least - a big hug to Karishma and Satpreet for keep up with me and be up for a post wedding shoot. Enjoy!